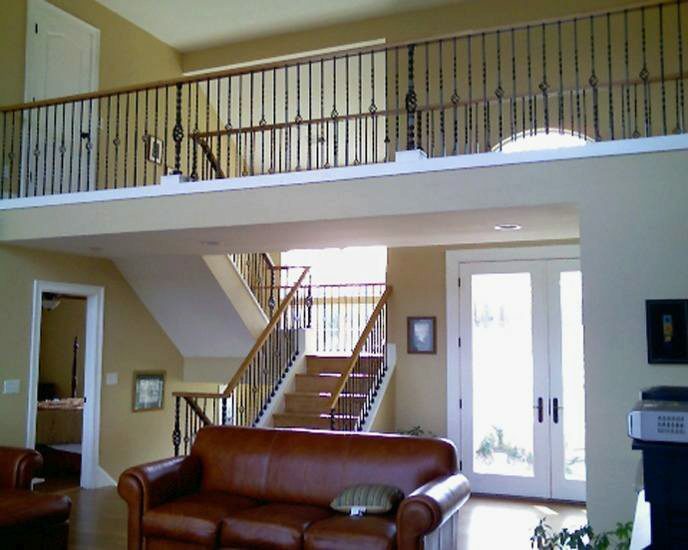 The above products are recommended for installation or mounting of the 16.5.5 Single Basket Iron Newel. Wrought iron newel 1 3/16” square x 48″ tall. 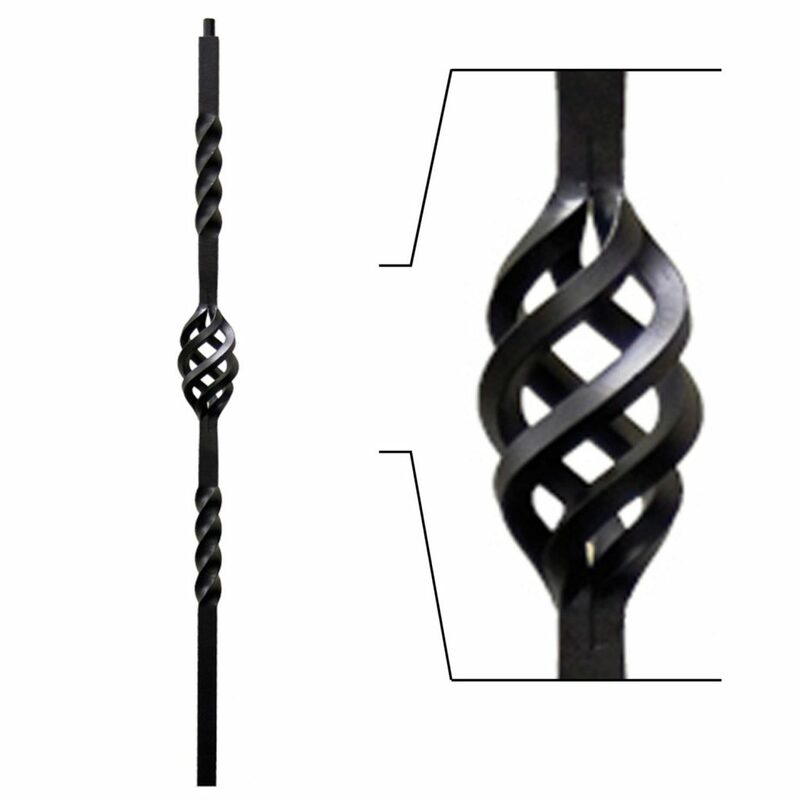 The 16.5.5 Iron Newel has a Single basket, with dual twists. These are used instead of pin top wood newels to support over the post handrail systems. “Ash Grey” newels are currently only available in Hollow. Purchase our 16.2.3 Iron Newel Mounting Kit to firmly fasten your newel to your stairs. 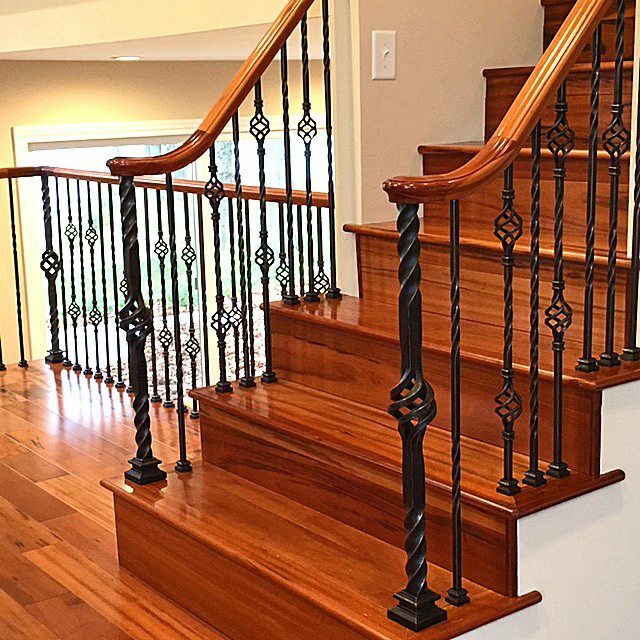 We found these specific newel posts to be super difficult to mount via the 16.2.3 mounting kit — after trimming off the bottom to achieve a std 36″ rail height.. the curvy portion of the newel prevents the decorative shoe from sliding up far enough, from the bottom. The 4 lag screws are quite long, and difficult/impossible to screw down while holding the shoe just an inch overhead. If you’re able to access the set screws after mounting the collar into the subfloor, it works. In my case, we had to drill small access holes through the wall, to tighten the set-screws after the fact. Thank you for the excellent feedback, Shawn. We will be sure to investigate this issue further.